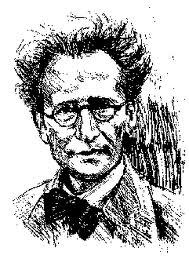 The Austrian Ministry of Science informed the Erwin Schrödinger Institute (ESI) on November 8, 2010, that the Institute’s funding would be terminated on January 1, 2011, which essentially coincides with the 50th anniversary of Schrödinger’s death. News spread among the scientific community and sparked off a large number of messages to Dr. Beatrix Karl, the Austrian Minister of Science and Research, in support of the ESI. Here is mine, jointly written with the Directors of the Canadian mathematical science institutes. What is the story? The ESI was founded in 1993 and has since been funded directly by the Austrian Ministry of Science with an annual budget of almost EUR 1,000,000. The ESI was reviewed in 2008 and received a glowing report from a distinguished international panel consisting of Jean-Michel Bismut, Robbert Dijkgraaf, Peter Goddard (Chair), Felix Otto, and Scott Sheffield. On July 27, 2010, the Minister of Science, Dr. Beatrix Karl, visited the ESI and afterwards sent out a glowing press release about the work done at the Institute. During this visit, a discussion started about the possibility of extending the ministry-funded ESI ‘Junior Research Fellows Programme’, which was about to end in March 2011, after 7 years of a very successful operation. Karl suggested a continuation of the discussion with the responsible section head, Ms Barbara Weitgruber. ESI officials did indeed meet Ms Weitgruber on October 25, 2010, but only to learn upon their arrival that the funding of the ESI would actually be cut to zero starting January 2011. Not very nice!!!! This entry was posted in R&D Policy and tagged Erwin Schrödinger. Bookmark the permalink.